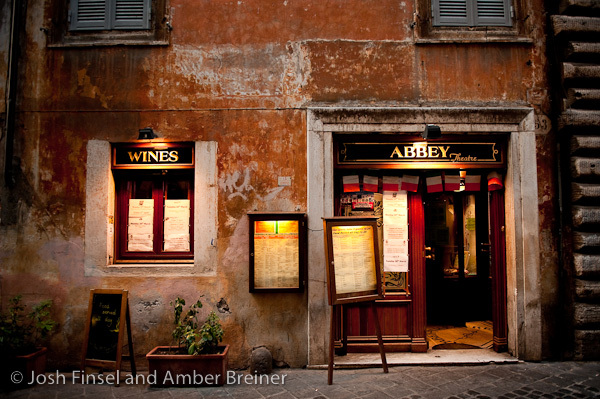 Abbey Theater is a refuge in Rome for those who love good beer, fine liquor and traditional Irish fare. 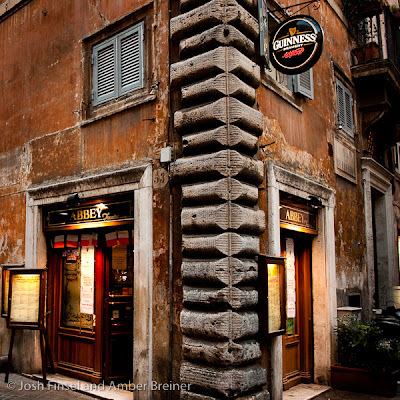 Located on a mostly pedestrian cobble stoned street among the labyrinth of alleyways situated between Piazza Navona and the Tiber River, the pub has a welcoming atmosphere which is known for attracting a following of (often English speaking) pub goers and sports fans alike. I know from experience because I am one of these devotees. 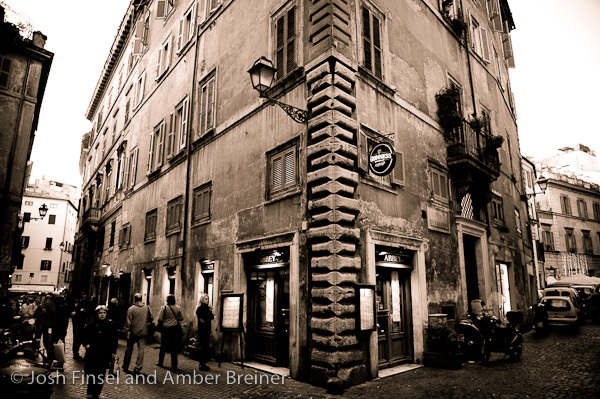 I frequented Abbey Theater during my study abroad semester in Rome ten years ago. My recent return revealed little had changed. There was still a charming young bartender keeping the scene afloat. My favorite bartender, Mario, still graces Abbey Theater with his services but I regret that I didn't get to see him in action again. The food, drink and company are as good as ever. The surprising difference is that Abbey Theater now hosts events, including wedding receptions. 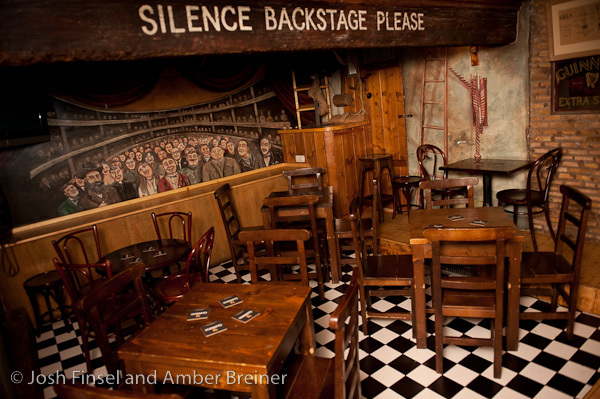 Tucked away from the traffic of everyday pub goers, Abbey Theater maintains private event rooms capable of hosting up to 100 guests. 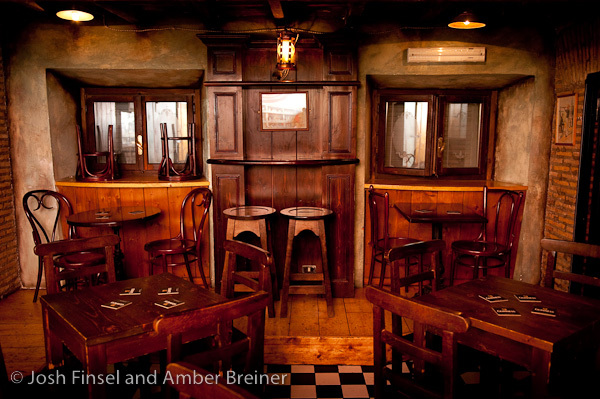 As is the style throughout the rest of the pub, the rooms feature dark wood furniture and fixtures, quaint "old fashioned" wall treatments and murals, and a private bar among other quality details typical of an authentic Irish pub. 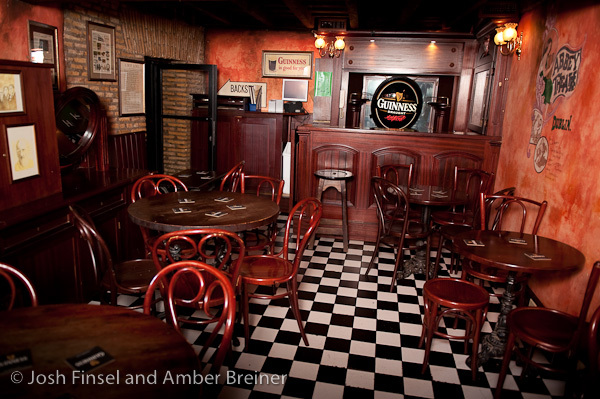 The pub is popular with Irish couples who plan weddings in Rome. 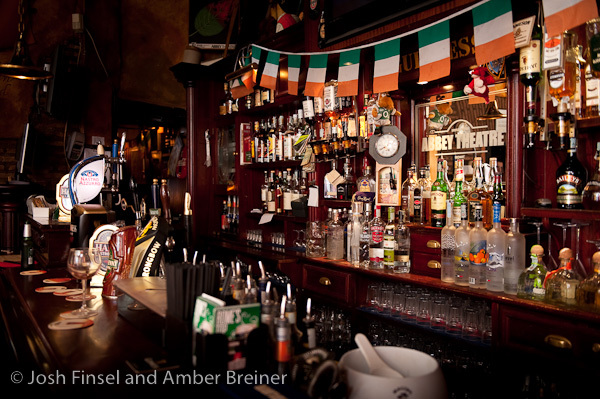 I love Abbey Theater as much for the quality of food and drink and atmosphere as for the warm memories I have from my experience there. It was on my short list of places I must return to on my recent trip to Rome. It was a pleasant surprise that we are both involved in the wedding world. 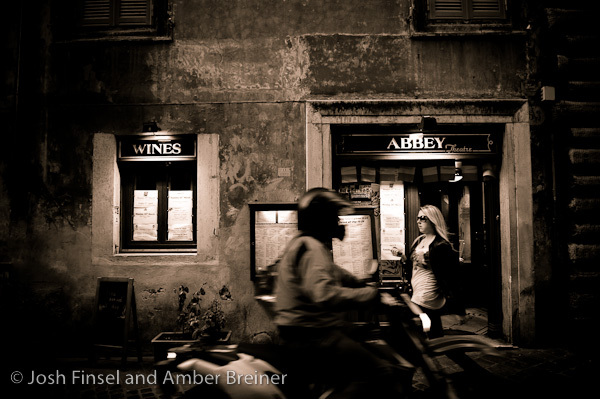 This entry is dedicated to recommending Abbey Theater as a wedding reception location in Rome Italy and our services as Rome Italy wedding photographers so that we might toast a pint with our friends there once again.